After having taken a break from colored pencil illustrations (or having a block that lasted months), I’m getting back into the swing of being artistic. Taking plenty of photos of local wildlife and places has helped me build a set of ideas to work from. 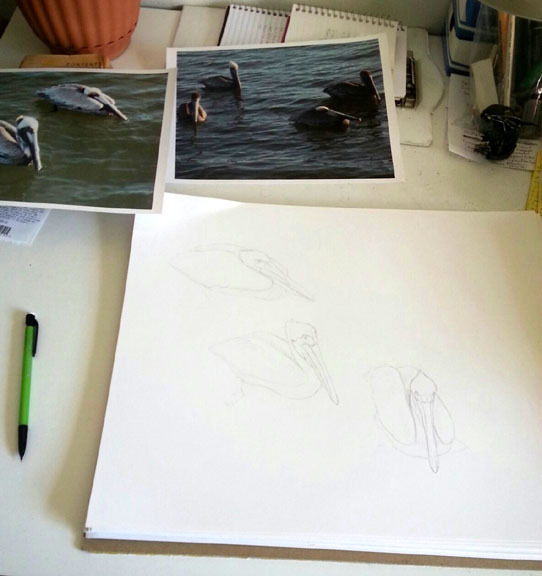 Starting a piece on 14″ x 17″ bristol board, and the subject is pelicans. I managed to get some great shots of them while they were waiting below a local pier waiting for scraps from fishermen. 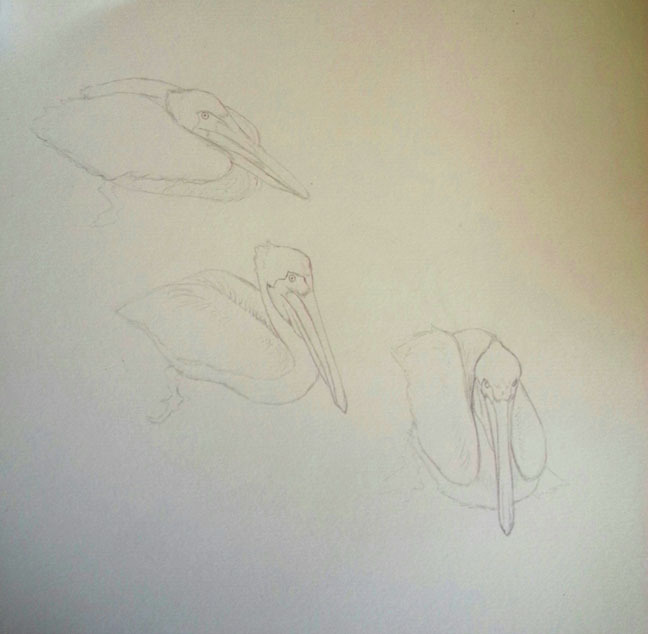 Here’s the start of it, just pencil outlines of the birds so far. And a snapshot of my work desk.